This is an amazing opportunity to hear from two visionaries who have had a huge influence on connecting people with nature. José González and Alina Bokde will share their successes in building community, empowering the next generation of leaders, and conserving open space in an urban setting. With over 90% of Californians living in urban communities we all need to be following the path forged by these two inspiring movers and shakers. 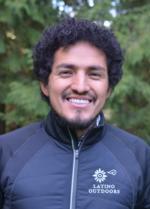 José G. González is the founder of Latino Outdoors, a growing community and volunteer-run organization that exists to "connect cultura with the outdoors". This involves building a network of Latino professionals, supporting outdoor leadership capacity-building opportunities for youth, and serving as a storytelling platform for defining the ambicultural identity of Latino communities and the outdoors. He has broad experience as a K-12 public school teacher, environmental education advisor, outdoor education instructor and coordinator, and university adjunct faculty. Alina Bokde is the Executive Director of the Los Angeles Neighborhood Land Trust. Alina is responsible for overseeing the development of community green spaces in underserved neighborhoods, as well as working to create park equity through public policy and replicable models to address systemic change. Prior to joining the Los Angeles Neighborhood Land Trust, Alina served as Deputy Executive Officer for the Rivers and Mountains Conservancy where she was responsible for the development of the urban lands program. 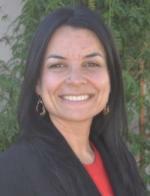 Alina serves on the Board of the California Council of Land Trusts, the City of Los Angeles Proposition O Oversight Committee, and the City of South Gate Oversight Board for its redevelopment agency; she formally served on the Board of Communities for a Better Environment, and is past president of the City of Los Angeles Environmental Affairs Commission.